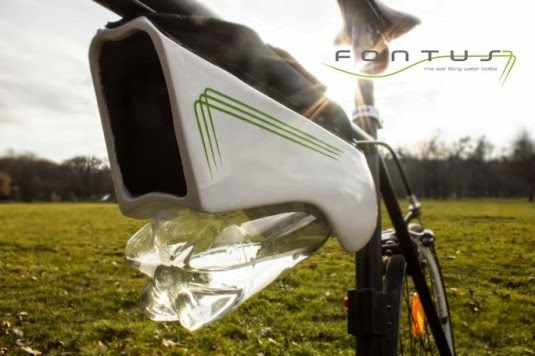 Water from thin air, Fontus condenses moisture to produce clean drinking water for bicyclists. Hares from hats, fire from flowers and jingling coins from a child’s ear are simple tricks for a magician. Now, an Austrian designer has gone ahead and tried his hand at something that looks like magic, but is a matter of simple science. 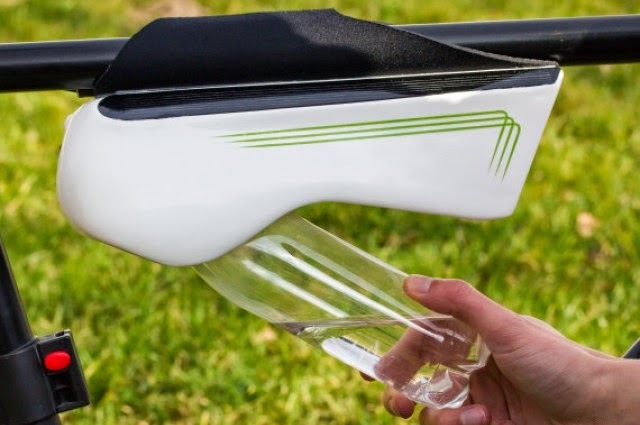 Kristof Retezar, an industrial designer from Austria’s University of Applied Art has designed Fontus, a water bottle that allows it to condense moisture in the air and collect it as clean, drinking water. Initial experiments done show that it can produce half-a-litre of water in just an hour; of course it works best in humid climate. 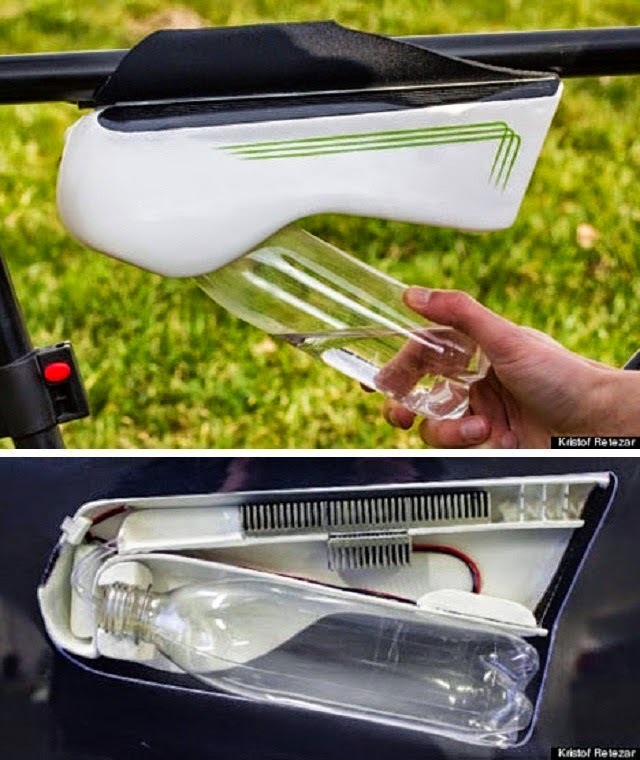 While Retezar’s invention is bound to attract cyclists and bike racers, it might just be an ideal solution for countries where groundwater levels have depleted and fresh water is hard to find. The applied art designer says he was inspired by the technique that was tapped by ancient civilisations in Asia and Central America to trap water in the earth’s atmosphere. He has entered the Fontus for the James Dyson Award, an international design competition that is held every year. Winning the award will provide Retezar with the capital needed to launch his design on a bigger scale for the market. The world needs people like Kristof Retezar and his designs such as the Fontus. Good luck, we say! Do you know? The roots of a tree grip the ground and act like thousands of “fingers” to anchor the tree as it keeps soil from washing away. The amazingly complex root network — often an area underground larger than the tree’s branches — also filters harmful substances out of water as it soaks downward.